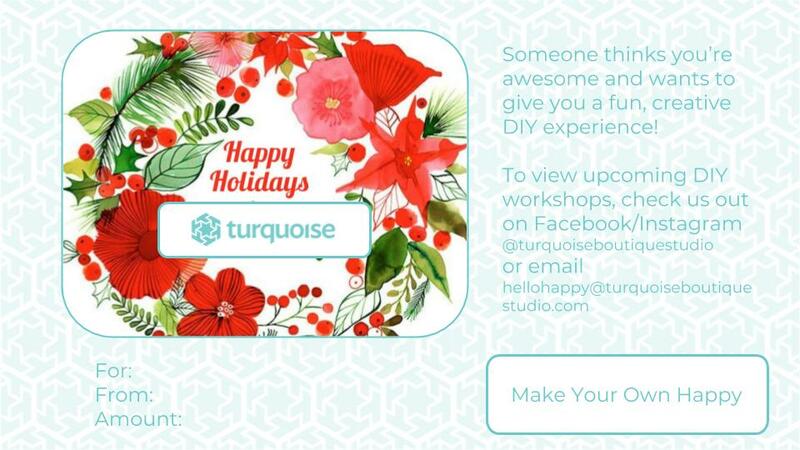 give the gift that is two in one–a relaxing, creative experience and a personalized, handmade item! 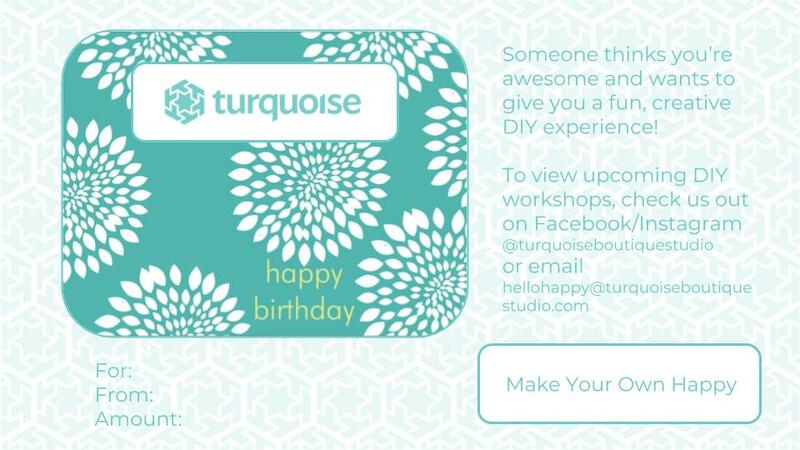 a gift certificate in any amount for any occasion can be used for any workshop, makers diy kit or retail item. plus, it’s great for something last minute! email us to get a gift certificate within minutes!